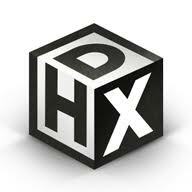 If you come across the acronym DHX, what comes to your mind? You might find yourself looking for the exact words to match that acronym, isn’t? Well, the DHX will surely be something you will love to know about. With the increasing trend in the word of technology, DHX will definitely find its place. Yes, this acronym will stand for something unique, one that will mark the start of a new era of the techie people. Yes, this blog will talk about the soon-to-be famous DHX. We know you feel excited about it, but once you uncover the truth behind it, you will feel more compelled to have a passion for it. It is under the world of virtual games but more adventurous and emotion-driven and action-packed. We feel a great need in this field, so here we have prepared this blog for a step closer to meet that need. Once again, we invite you to unravel the truth behind the DHX, and we hope that you discover its power to bring joy to you!